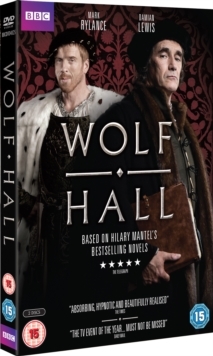 Six-part Golden Globe-winning adaptation of Hilary Mantel's historical novels documenting the rise to power of Thomas Cromwell (Mark Rylance) in the court of Henry VIII (Damian Lewis). The programme begins as the King, lacking a male heir, tries desperately to annul his marriage to Katherine of Aragon (Joanne Whalley). But when her successor, Anne Boleyn (Claire Foy), also fails to satisfy this desire, she becomes paranoid that she too will meet the same fate. Meanwhile, Cromwell searches for an excuse to expel Anne from the court so Henry can be with Jane Seymour (Kate Phillips) whilst also ensuring that parliament will acknowledge the King as head of the Church of England. The episodes are: 'Three Card Trick', 'Entirely Beloved', 'Anna Regina', 'The Devil's Spit', 'Crows' and 'Master of Phantoms'.